A couple of weeks ago, during my reading Wednesday blog, I shared that I was reading Stephen King’s On Writing. I finished the book and cannot rave enough about this treasure. King entwined stories about his life with tips on writing throughout the book. Fascinating and readable, this book captivated me from beginning to end. Interspersed with stories of selling copies of his first stories to voracious, young readers are tips about writing such as write every day and give yourself some time between writing and editing. But even as important, he admonishes writers to read and read often. He shared that he not only reads every time he has a chance, but he listens to audiobooks when he can’t read the printed word. King surrounds himself with stories, both on the written page as well as from the audio side. I sat back and digested this information. I try to read books whenever I have the chance, but there are long stretches when I’m in a car and would have an opportunity to listen to an audiobook. Why not give this tip a chance? I visited my local library (where I often write) and picked up two audiobooks. For the past three days, I’ve been listening to Carolyn Hart’s Set Sail for Murder. At present, I’m on disc three of seven. And to my great surprise, I’m enjoying the audiobook. I also checked out Jude Deveraux’s Someone to Love audio CD set. I remember reading Set Sail for Murder a long time ago. Ms. Hart is one of my favorite mystery writers and I’ve read almost every book she’s written. I’ve also had the pleasure of attending one of her autograph sessions and lectures. I cannot praise her enough for her dedication to the mystery genre, generosity to other writers, and love of books. I must admit that I confused this Henrie O novel with Dead Man’s Island, a book that was adapted into a TV movie starring Barbara Eden and William Shatner and a guilty pleasure TV movie for me. This audiobook, however, tells a different story, but one that is equally enthralling. I’ve enjoyed the plot and the narration by Kate Reading is top notch. 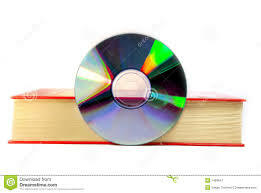 But what’s especially fun about an audiobook is that you have to listen to the words. Ms. Hart paints a picture that I’m noting more with the audio version than the first time I read the book in print. She uses descriptive words to shape portraits of each character. I’m seeing them all in my head as much, if not more, than if I were reading about them. But, of course, I’m also reading print books and Kindle books as well. I have finished Stephen King’s On Writing and highly recommend the book. Well worth the time whether you are a writer, a fan, or a reader, this book reads more like a narrative story than a dry tome on tips about writing. Since finishing On Writing, I am enjoying Rock Your Plot and Rock Your Revisions, two craft books about writing by Cathy Yardley. They both deal with plotting stories to weave a writer’s book more efficiently and more succinctly. I’m also reading Mistletoe Cinderella by Georgia Romance Writers member Tanya Michaels. This is the second of a four set series of books all written by Michaels set in the fictional town of Mistletoe. It’s a cute and rather quick read. My main focus this week was to share the enjoyment I’m finding in listening to books. What a wonderful tip from Stephen King. I’m already figuring out what books I’d like to listen to after these two. I have nixed nonfiction for the simple reason that fiction is easier to listen to in a car. Do you listen to audiobooks? If you do, why? If not, why not? Let me know.